Former state Rep. Tryon Lewis and San Antonio banker J. Bruce Bugg Jr. will replace Chairman Ted Houghton and Commissioner Fred Underwood on the Texas Transportation Commission. Gov. 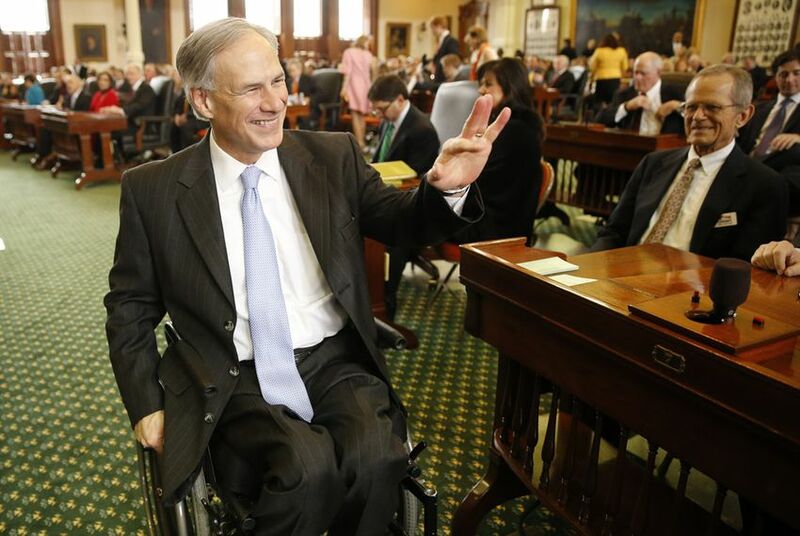 Greg Abbott announced Friday he was appointing former state Rep. Tryon Lewis and San Antonio banker J. Bruce Bugg Jr. to the Texas Transportation Commission. Both appointments are subject to Senate confirmation. Bugg will replace Commission Chairman Ted Houghton, and Lewis will replace Commissioner Fred Underwood, Abbott spokeswoman Amelia Chasse said. Abbott has not yet said who will be the commission's new chair. The five-member commission oversees the Texas Department of Transportation. Lewis, an Odessa Republican, was a state representative from 2008 to 2015 and served a stint as chairman of the Judiciary and Civil Jurisprudence Committee. Prior to that, he was a state district judge from 1985 to 2006. He is currently a partner at the Atkins, Hollmann Jones, Peacock, Lewis & Lyon Law Firm in Odessa. Bugg is a former senior adviser to Gov. Rick Perry and a former chairman of TexasOne, a quasi-governmental agen­cy that served as Perry’s chief marketing tool to draw businesses to Texas. He is also chairman of the boards of the Bank of San Antonio and Argyle Investments Co., a private investment firm, and president of Texas Hill Country Bancshares. Disclosure: J. Bruce Bugg is chairman of The Tobin Endowment, a major donor to The Texas Tribune. A complete list of Tribune donors and sponsors can be viewed here.